Floor in front of cross member was put in. 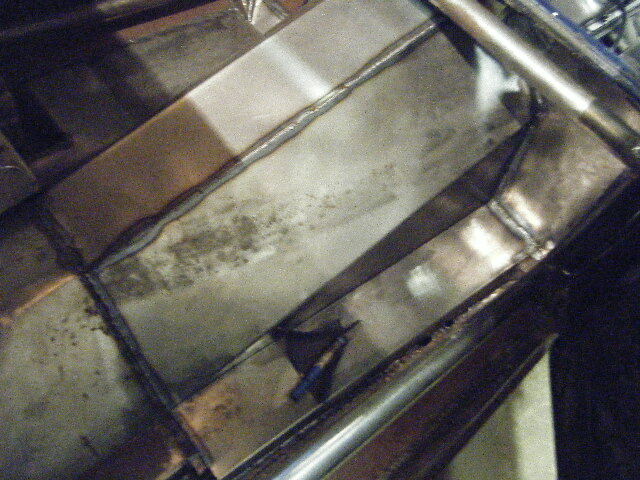 Box tubing was jacked into place and welded to the floor piece. Rear was clearanced. Rear floor of car was cleaned and primed. Rear roof of car was cleaned and primed. Hood scoop was stripped and primed. Front floor was made and installed. 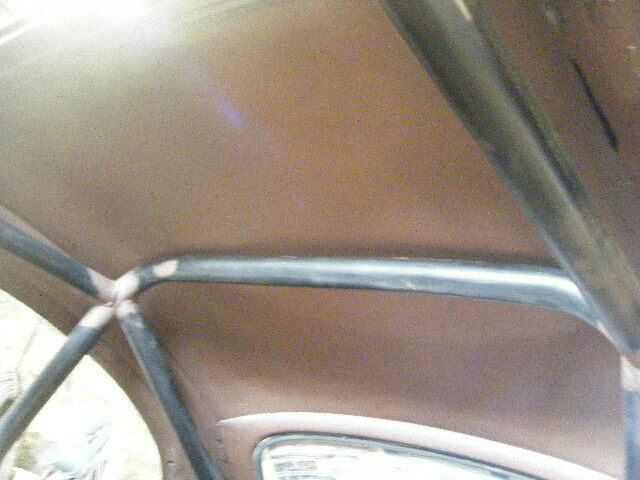 Heavy welding was completed under car. 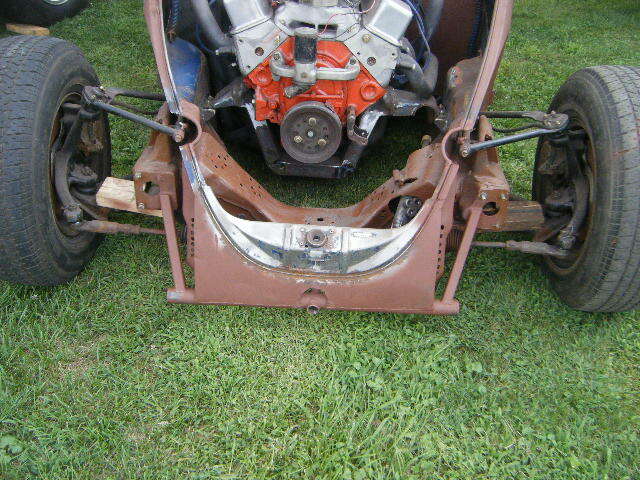 Front jack point was made. Clearance pockets for upper A-arms were made. Right firewall was installed. 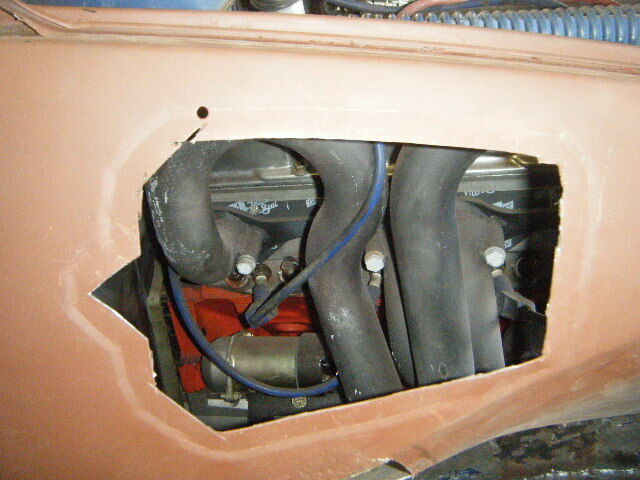 Calvin made engine bay panels. Paula made door and fender patches. 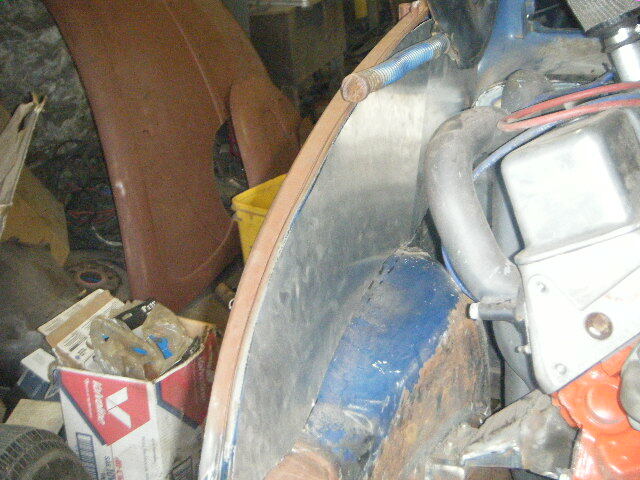 Right side exhaust was made. 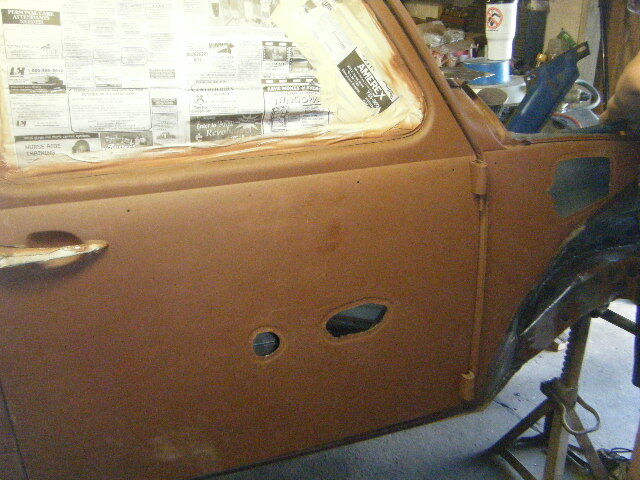 Front inside of car was primed. Rear inside of car was painted black. Left shackle mount was made. Right shackle mount was made. Denny began work on drive shaft. Bernie began work on hood.